This episode talks about the need to become aware of your thoughts about your life right now. There are perhaps some things you love, some things that are okay, and things that you'd like to change. 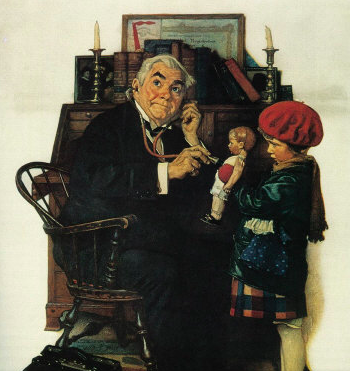 In medicine, our first step is to take a good history before we make an assessment. An accurate and well informed assessment is necessary before embarking on making a plan. We will use the same format in our coaching work and begin with taking an assessment of where you are right now. 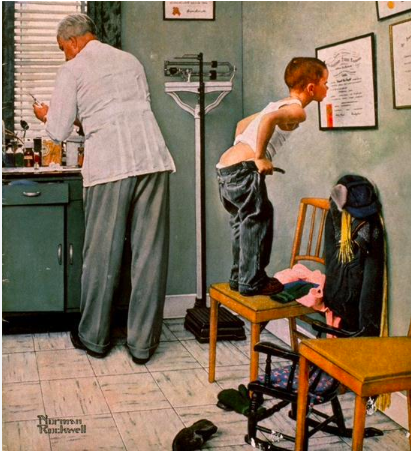 Detailed image of a medical visit drawn by and 8 year old girl in the era of the Electronic Health Record. 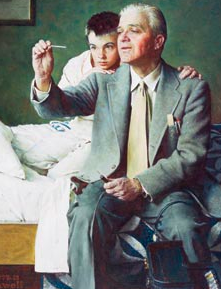 The physician faces away from the family and the patient, looking down at a keyboard. 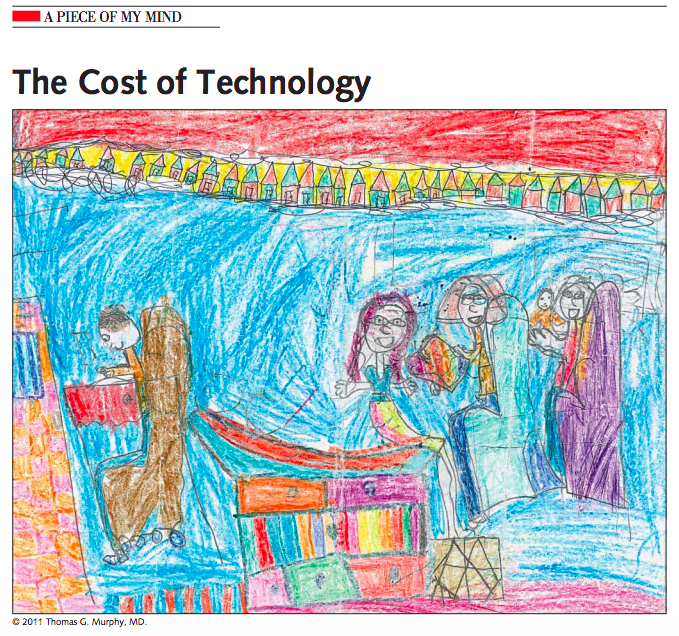 Toll E. The Cost of Technology. JAMA. 2012;307(23):2497–2498.